Monthly Espresso club members will receive a freshly roasted 12oz bag every month recurring, as well as the option to switch to twice a month in the future. It's up to you. 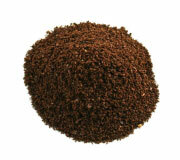 Coffee is shipped USPS (United States Postal Service). Once you sign up, you will not have to lift another finger for the duration of your membership. There is no commitment. You can cancel, pause, or change delivery dates at any time. All orders placed before or on the 15th will be shipped within that specific month. 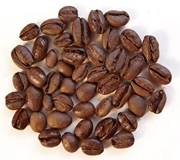 Any orders placed after the 15th will be on hold until the 1st Wednesday of the following month Roast Profile This Italian style espresso blend is slow roasted from a low temperature, and then baked to a light smokey finish point. We start with beans from Brazil which create a unique, milk chocolate foundation. Then we add beans from Central America for a robust, earthy tone, and a dash of Indian Malabar for a lovely crema. Not only is the blend an intensely rich and sweet espresso, but it can also be ground for a great cup of brewed or pour over coffee. We grind before we ship.